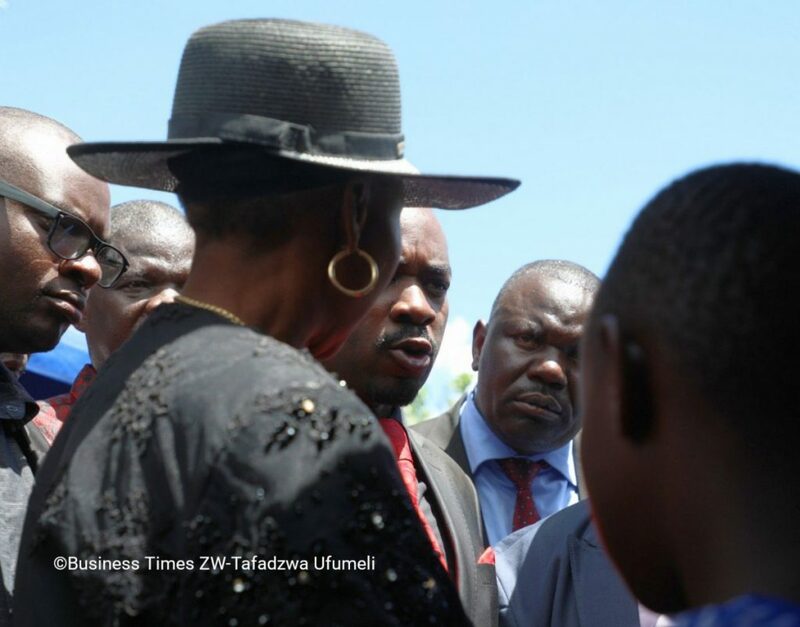 MDC Alliance president Nelson Chamisa and ZANU PF national chairperson, who is also Defence Minister Oppah Muchinguri-Kashiri, seemed to have been engaged in an animated conversation at the burial of the late national hero Oliver Mtukudzi’s burial in Madziva on Sunday. The MDC leader was initially barred from getting into the Mtukudzi homestead by state security agents. He was only able to do so after hundreds of mourners allegedly broke police and a military barrier to creating a path for Chamisa to get in. Chamisa reminded Muchinguri that she was allowed to address mourners at the late MDC founding president Morgan Tsvangirai’s funeral even though the crowd showed its strong disapproval.